Contemporary comfort at it's finest! This sectional by Corinthian Furniture will easily be the centerpiece of your living room area! 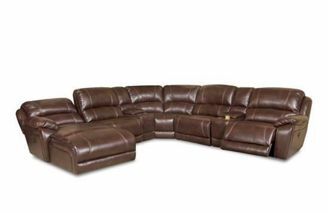 The only people more comfortable than you as you lounge in the full body chaise recliner as you enjoy the big game might be the ones across from you in the full chaise front wall hugging recliners!